Smith had arrived earlier that night with a straight couple and his own regular date, a muscular 6-foot-2 30-something white male, whom Bathtub Gin employees refer to as “his boyfriend.” Like most other nights—Smith frequents the bar, located behind a coffee shop on 9th Avenue, about once a week—the anchor’s attention fell on his date. According to Minskova and one other source, who have seen Smith and his date drink there on multiple occasions, the couple frequently holds hands and rests them in each others’ laps under the table. 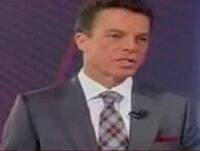 Nobody we spoke with, including several Fox insiders, knew the name of Smith's date. Smith, who has been listed in OUT magazine's 'Power 50', inspiring calls by anti-gay conservatives for him to come out of the closet, is not out.